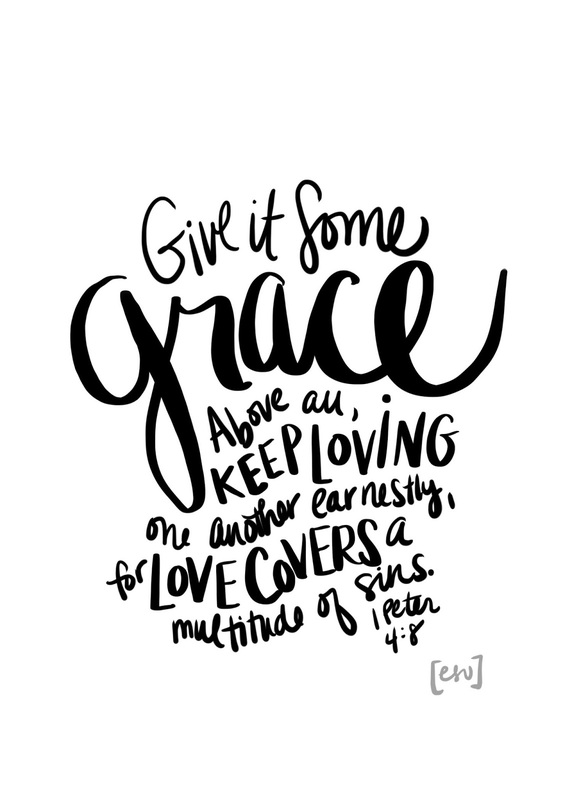 Love covers, ten years, and a free Bible verse art print! A whole three years ago when I was a brand-new blogger, I posted my very first printable. 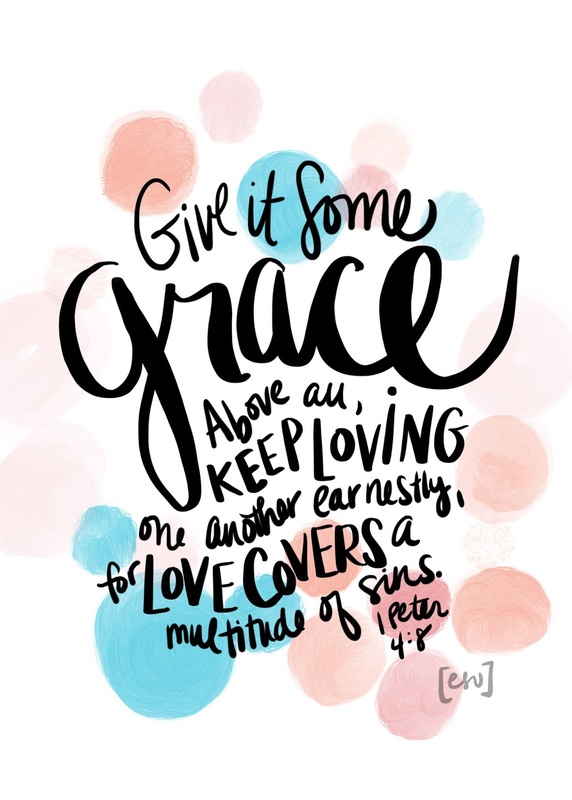 It was a lettered print of 1 Peter 4:8, and it's been a popular post on my blog since. I still love it (and have it on my wall), but I wanted to give it a little makeover. Plus, my husband and I just celebrated our 10th wedding anniversary, and God's grace, both received and then passed on to each other, is the only thing that has held our marriage together and allowed us to flourish. Each anniversary, I've written a special blog post (here, here, and here) about what God has taught me that year. In some ways, having ten years of experience makes things easier. We are wiser and less likely to throw fuel on a fire, turning a spark into flame (too many singed eyebrows). We understand each other better. We are less likely to see the other as the chief sinner in the house (1 Timothy 1:15). But ten years also brings new challenges. We parent three active children who sing, dance, and squabble through their days. We are often exhausted. We have our own health challenges. Work is often demanding. We have had unexpected home repairs. So this year we don't have all our issues sorted out. We exasperate one another. We argue. We disagree about the details of raising our kids and the temperature of the bathtub for the toddler (for real). But we ask for forgiveness. We forgive. We see our sins in the light of His presence (Psalm 90:8). And we cover it all with love. God's love is like the super-strong glue that seeps into the cracks between us and binds us together with a power beyond ourselves. If you are struggling in your marriage today, God bless you. You are not alone. May God lead you, and give you His grace. I pray that today you would hear His voice and know His sustaining love and comfort. 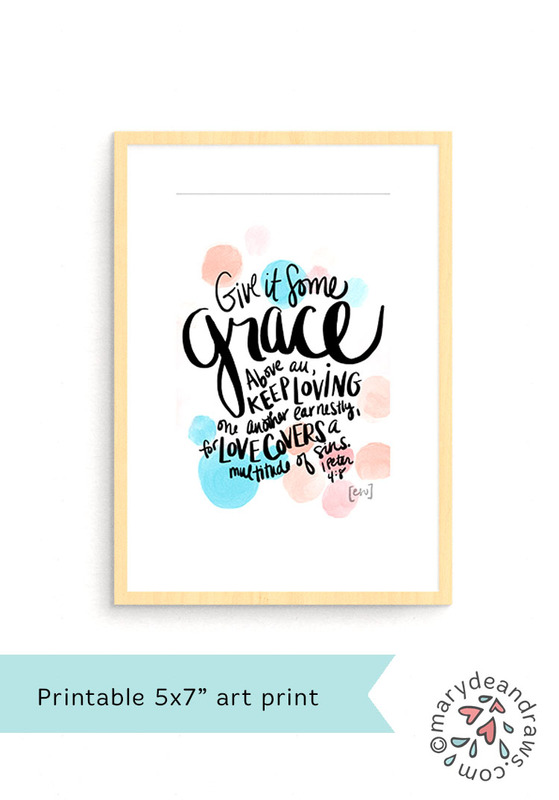 To get your 5x7" 1 Peter 4:8 print (in black and white or with color), simply right click on one of the images below, and save! I am not sure how I found your wonderful pages, but, it is just what I need to help me lead my little group. Thank You so much you are a very gifted person. Thank you so much and so glad you found something helpful!